Paw Balm for your pup! Does your dogs feet look cracked and scary? Do they slide on your hard wood floor? Just want some protection from the upcoming winter chemicals put out to melt that nasty white stuff(choked on that, I LOVE the snow)? 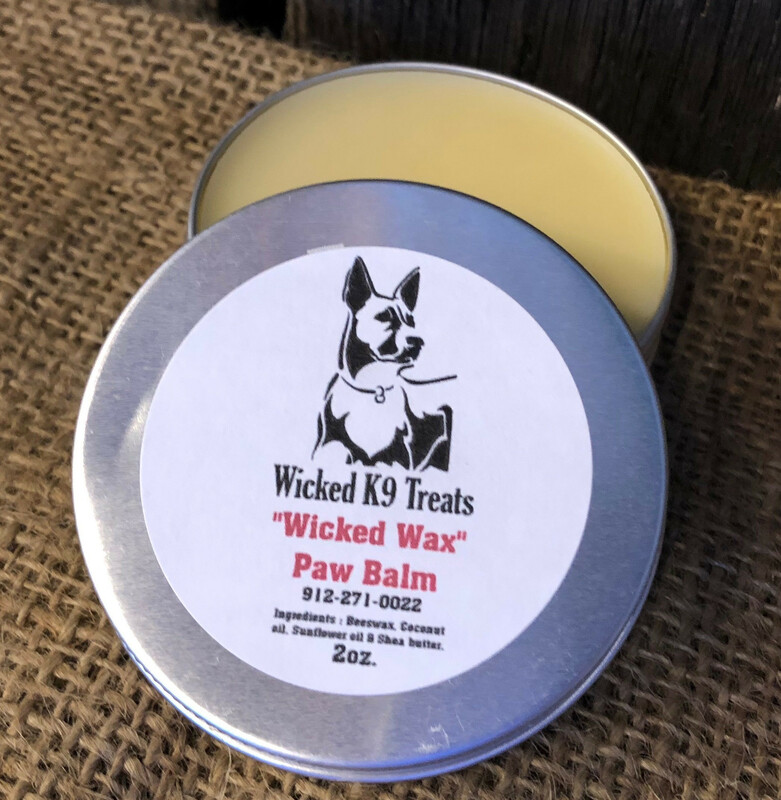 WickedK9Treats Paw Balm will protect your pups paws and moisturize at the same time. All natural, safe and minimal products used to make. Keep those paws healthy and soft. Also good for dry noses that are cracked and need a little love.